Get ready for weeks of ramblings about Christmas because that Christmas spirit has hit me. I adore this time of year. 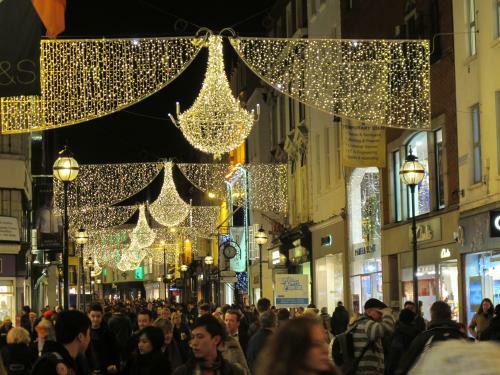 The lights make everything look pretty, going and finding the perfect gift for the people you love is so much fun, not to mention all the festive food and drinks. So yeah, I’m feeling festive. I’m glad too as this has been a really difficult week personally so some Christmas Joy is much needed. I checked out the lights in town and they are looking so pretty. It really makes everything look so much nicer, especially when its raining and gross out. 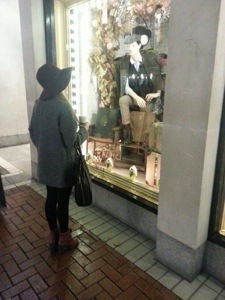 Here’s a few shots of me staring longingly at all the gorgeous things I want to buy! I’m wearing my new beloved Forever 21 coat, with a wine felt hat, and wine Carvela boots. All cosy and warm. Also, completely fell in love with these two bags. 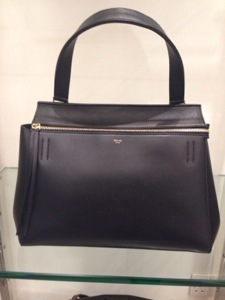 The first is the Celine Edge in black calfskin. Such a chic gorgeous bag. The second is the Alexander McQueen Zip Up Heroine in black leather. 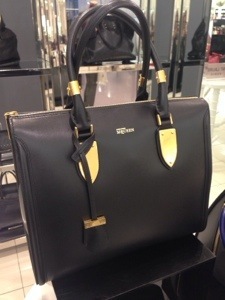 Another amazing bag, and I love the gold detailing. Aren’t the lights so pretty! They really look amazing in person and always put a smile on my face. I’m really getting into the Christmas spirit on Pinterest too. I’ve started thinking about all the things me and my sisters will be baking. I fully expect the house to smell of chocolate, sugar and cinnamon constantly. I recently have been given the opportunity to do some exciting collaborations on the blog. There’s going to be lots going on in the run up to Christmas and the New Year. I’m really looking forward to the challenge and I hope all of you like what I have planned! I am in the Christmas spirit as well. I just love the sounds, the lights, the smells, it makes me so happy, hahaha.